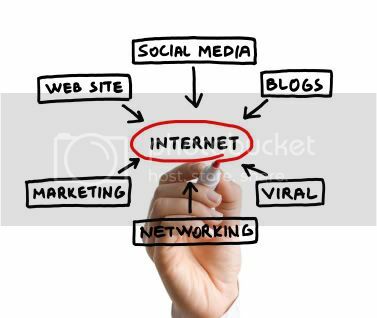 Traffic is the holy grail of Internet marketing – if you know how to get it, then you can probably find a way to succeed in Internet Marketing. Problem is, everyone wants it to just “happen” and no one wants to work for it. We’re going to go over a great plan of attack for your traffic needs. You can pick and choose from methods you prefer and combine whatever you want. The only thing I ask is, try to test each method at least once – just so you know what worked and what didn’t with your niche needs. Keywords are extremely important for getting traffic to your site. This is how you pull traffic into your site. When Googlebots come to index your site, they’re going to be analyzing it for keyword usage. You never want to stuff a lot of keywords purposely because you can get penalized by the search engines for doing that. But you do want to be strategic about it. Keep a spreadsheet where you track the various keywords you’ve used in your blog posts. When you have an idea for a post, visit the spreadsheet to see if there’s a keyword phrase that would fit in nicely. For example, let’s say you were in the dating niche. You want to do a blog post about how older women are now dating younger men quite often now. You look in your spreadsheet and see the phrase “cougar dating” has over 60,000 monthly global searches – so work that into your title and a couple of times in your post. Blog frequently to make the most of your traffic abilities on your site. Google and other search engines love blogs and they will time their visits to your site based on how often you post. For example, they might start off coming around every 3 weeks. Then they see that you’re posting weekly – so they decide to come weekly. If you post daily, they’ll come daily. And if you post several times a day, they’ll be roaming your blog and able to index your new posts in mere minutes. Indexing, by the way, means your page is now findable in the search engine. So if you’re posting a lot and you make that new “cougar dating” post, your page could be the one chosen to be shown at the top of the SERPs in a very short period of time. Google Plus is currently in trial mode and closed to new sign ups – unless you can find someone to invite you in. But once you get in, you can set up an “About” page in your profile, and interact with people in your niche! Remember, it’s important not to be a spammer on ANY of the social networking sites. Do your best to be a valued member who contributes to the discussions and provides thought-provoking information yourself. It’s a mix of all sorts of networking features. You can even hold a video chat on the site where you and your target audience all “hang out” together on video! Facebook has a variety of traffic options for you to take advantage of. It’s against the terms of service to have more than one profile page. But that shouldn’t stop you from having a business fan page! Create a fan page for people to “like” and that way they can follow you on their wall. You need to keep updating your fan page frequently, though – or the traffic will die down and your page won’t be useful. A fan page lets you post links, videos and pictures just like you would on a blog. But it’s not the only way to build a traffic stream from the site. 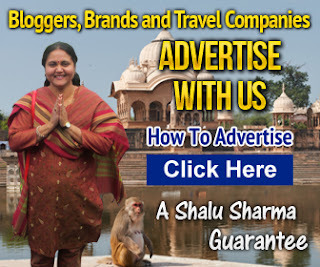 You can also opt to use their paid advertising feature. Ads on Facebook are nice because you can choose the location, age and interests of the people you target. If your product is only applicable for people in America, then you can filter it so that it doesn’t show the ads to UK Facebook users. You set a daily budget and pay only when someone clicks through on the ad. This is similar to the way you earned money by placing AdSense ads on your blog or website. Some people mistakenly ignore Twitter because they worry about how much marketing they could do in just 140 characters. But the reality is – a lot of traffic can come your way through Twitter! Not only can you post messages (including links) to your Twitter stream, but those messages can get Retweeted to more people if your followers hit the Retweet button for you. Make sure you treat your Twitter followers the same way you would followers on other social networks. Watch the feed and interact with them on their posts. Retweet some of their posts, too. Don’t just market to them. Have a good mix of personality in your Twitter stream to create a stronger brand loyalty. Let them get to know the person behind the account. LinkedIn used to be known as a social network to conduct job searches and network more within the corporate realm. But it can be so much more than that for you. Fill out your complete LinkedIn profile and make sure you include a viral freebie download on it to help build a bigger following. People will look to see who’s linked to who, and you’ll see your contact list grow quickly. This social networking tool is a wonderful way to organize the chatter you get from all of the social networking sites you’ll belong to. Everything comes into one stream for you to review, so you don’t have to site hop! But it works the same way for YOUR followers. You can enter all of your own social streams here and they can follow you in one area, rather than chase down all of your posts across the web. Bookmarking is a great way to get your links shared by others. You can sign up for a bunch of different bookmarking sites, but start with one – like del.icio.us. You’ll enter a link to a page on your site, post a short description, and add some additional information. Others can see what you’ve shared. And then they too can share it. But you don’t want to be viewed as a spammer. You want to create a healthy mix of link posts – bookmark some sites that aren’t yours. Bookmarking can also be outsourced to people like virtual assistants. Or, you can sometimes buy a package that includes a certain number of bookmarks across the web. You already know that blogging – and blogging frequently – is a boon to your sites when it comes to traffic. But you can also take advantage of other bloggers’ traffic, too! It’s known as guest blogging – and bloggers are usually eager to take advantage of your offer! Bloggers have a hard time keeping up with an intense blog schedule when they have other tasks to complete. So when an expert in their own niche comes along and asks if they can take over blogging duties for a day, it’s a welcomed relief! Start by finding blogs in your niche. Go to Google.com and type in your niche keyword. Let’s start with the word wedding using a previous example in this guide. When you search Google, look in the left sidebar of the results page and you’ll see an option to just see the blogs available. Go to Alexa.com and click on the site tools tab. Then paste the site’s URL into the tool. Click Get Details when the results pop up and you’ll be able to see an approximate traffic profile for the site. If it’s a nice site with ample traffic, then go ahead and create a blog post that you feel would fit nicely on the site. For instance, if it’s a “green weddings” blog, then come up with a blog post about a green wedding tip. If you deliver an article that’s not relevant to their niche – OR, not in line with what they teach, then it will prove to them that you didn’t care enough to look their site over, and they’ll decline your offer. Deliver the content in both Word format and Notepad (TXT) so that they can quickly paste it into their site and schedule it for publications. Make sure you include a bio blurb for the blog owner. This is something that comes before or after the blog post that tells a little about who the author is – with a link back to your domain. It shouldn’t be too long – maybe 2 or 3 sentences, max. Some blog owners will want to reciprocate with a guest blog on your blog, too. You can either accept this offer in good will or decline it, if you feel the message would hurt your site’s credibility. If you participate in forums for your niche (which you should be, because that’s where real people hang out), then you should check to see if the forum owner allows forum signature files. A signature file is an area that automatically shows up below any post you make on the site. So if you reply to someone else’s thread, it shows your message, with a sig file beneath it. If you start a thread, your sig file shows up below that post, too. Some forums have rules for sig files – and some don’t allow them at all. You might be able to use a mix of images and text, or one or the other. · You may not be allowed to use an affiliate link. If this happens, it’s okay! Link to your own squeeze page anyway – just like the lesson you learned earlier about handing over a lifetime customer to someone else. · You may have to wait awhile before your sig file shows up. Some forum owners know that seedy spammers come into forums to offer nothing of value – so they intentionally put a temporary hold on your sig file until you have a certain number of posts in the forum. · Track, Test and Tweak your sig file until it converts into the most clicks it can get for you. Test out a variety of sig files – play around with the graphics or text and see what causes people to click on your sig file the most. · Some forums have size restrictions for your sig file. They may be only 5 lines, or a specific width and height for images. The very best way to make use of your sig file is to provide good value to the forum. If people read a thread started by you and are amazed at its great value, they will often click on your sig file to see what else you have to offer! Paid traffic can be a very scary thing for many marketers – even seasoned ones who have been around the block online for years! But you are in control, so don’t let it intimidate you too bad. Paid ads can be created through sites like AdWords. Remember AdSense, where you earned money for ads placed on your blog? Well with AdWords, you’re paying for your ads to be put on someone else’s site! In order to use AdWords, you have to know the rules. They don’t mess around – so if you’re caught breaking the Terms of Service, you could have your account banned forever. · Go to AdWords and create an account. This involved picking a username, picking a currency, verifying your account, and setting up billing information. · Create a campaign for your AdWords account. First you’re going to choose an audience. Where are they located? What language do they speak? Do you want to just advertise on Google SERPs or partner sites as well? · Pick a daily budget. Warning: if you say you can spend up to $100 a day, they WILL find a way to spend your $100 a day. It’s vital that you only spend as much as you can afford, period. Nothing more – or you’ll go into debt very fast. Now one thing to keep in mind – if your daily budget is just $20, and you’re maxing out on that, look to see if the investment is paying off for you. Are those click throughs resulting in sales? If so, how much? How much can you afford to raise your daily budget? · Enter the maximum amount you’re willing to pay per click. Some niche markets have keywords that cost a lot of money (think $50 per click!) and some cost just $0.05. Just because you put a maximum, it doesn’t mean they’ll charge that – and it also doesn’t mean you get to beat out other advertisers for placement – there’s more that goes into that equation than bid price. · Enter a list of keywords associated with your site that you want your ad to show up for. · Set up final billing data and your account is ready to go live! Now keep an eye on your ad campaign – don’t let it get away from you. If your target page (the page you’re sending people to) isn’t optimized, you’ll find out about it from AdWords. Your ranking will fluctuate and you can tweak things in your campaign and on your site to get a better position in the SERPs. Paid advertising isn’t ideal, but it does offer a quick start to some traffic flow for a new site with no foothold in Google yet. You’re going to see a LOT of information about article marketing. Some of it is misleading, too. But it does have its merits so let’s learn the basics of what you need to know about this traffic strategy. · Know the rules! I know they’re long and tedious to read, but it’s going to take longer to get your content online if you ignore them, so just go through them once, jot down the important items, and then refer to them whenever you submit a new article. · Decide if premium services are worth it to you. Some article directories are simply free. Others have perks for those who pay a monthly price – like faster article approval. · Work on developing your call to action. This is the small area at the end of your article that gets people to click through to your link. Don’t be boring and simply ay something like, “for more information, click here,” because that’s not interesting enough to warrant a click! · Spread your backlinking efforts among many sites – not just one. Most marketers use EzineArticles.com for their article marketing – but there are many others, like GoArticles – that you can use, too. · Don’t put all of your content on directories – save a good deal of it for your own blog and site! Article marketing can be done on a schedule that you create. You can outsource content to a ghostwriter and upload it under your name on the directories. Make sure it’s unique so that it gets approved. Once the article is live, use the proper procedures to publish the article from the directory onto your own blog or site! Working at home for yourself doesn’t have to be intimidating. You’re going to feel SO much better once you have a plan in place to tackle the major aspects of building your own business. Find someone to trust in your journey and rely on those individuals to help you or recommend products that are valid whenever you’re entering a new area that’s unfamiliar to you.